The Wayfarer apartment building in Belconnen. Photo by Rodrigo Vargas. 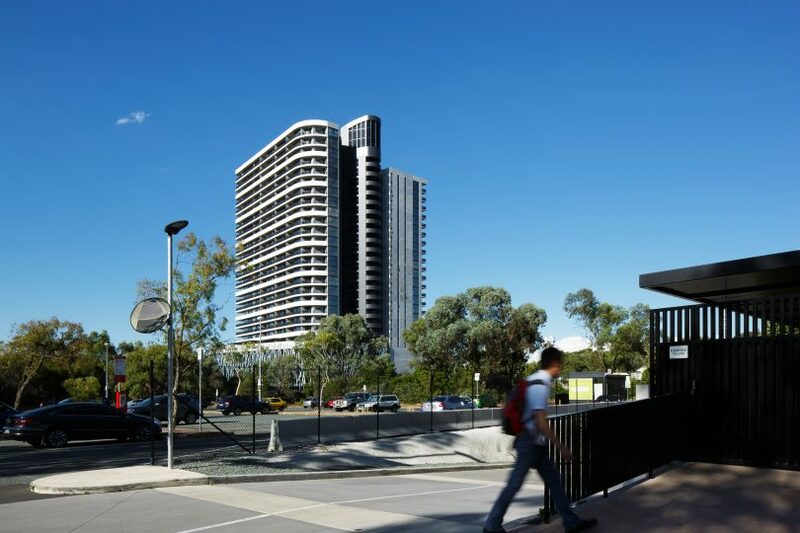 Canberra developer Geocon has brought in technical specialists to investigate the source of noises at the 27-storey Wayfarer apartments in Belconnen which have been concerning some residents in the upper levels of the huge building. Two residents have submitted formal complaints about the loud noises which have occurred on a regular basis and apparently are similar to a tapping or hammering sound. There are indications that the noises are mainly emanating from apartments with a north-easterly aspect in the building which has 331 apartments and is Canberra’s tallest residential building. Geocon Manager of Construction, Damon Smith, said Geocon has engaged industry-leading acoustic and vibration specialists HW Technologies who will start work next Monday on assessing the source of the noise. Mr Smith said the specialists will come to Canberra to assess and measure localised acoustic emissions using state-of-the-art diagnostic equipment including the VibroLaser and acoustic camera. He said this equipment can measure very minute movements of fractions of millimetres. “The times of day when the noises are more frequent coincides with the level of sun exposure, suggesting the noises may be related to thermal expansion and contraction,” Mr Smith said. The Wayfarer is Canberra’s tallest residential building. Photo by Rodrigo Vargas. Over the past week, Geocon has conducted investigations which appear to have ruled out structural defects and plant and equipment being the source of the noise concerns. An onsite investigation by a senior structural engineer to inspect elements of the structure including precast walls and balustrades, the lift core and roof slab. The engineer’s report after this investigation stated that “there did not appear to be any structural defects or cracking”. Controlled and monitored shut downs of major services – including mechanical, hydraulic, fire and lifts – with the aim of ruling out plant and equipment as a cause of the noise. Mr Smith said a further update will be provided to the Body Corporate after HW Technologies have completed their assessment and their report is in hand. 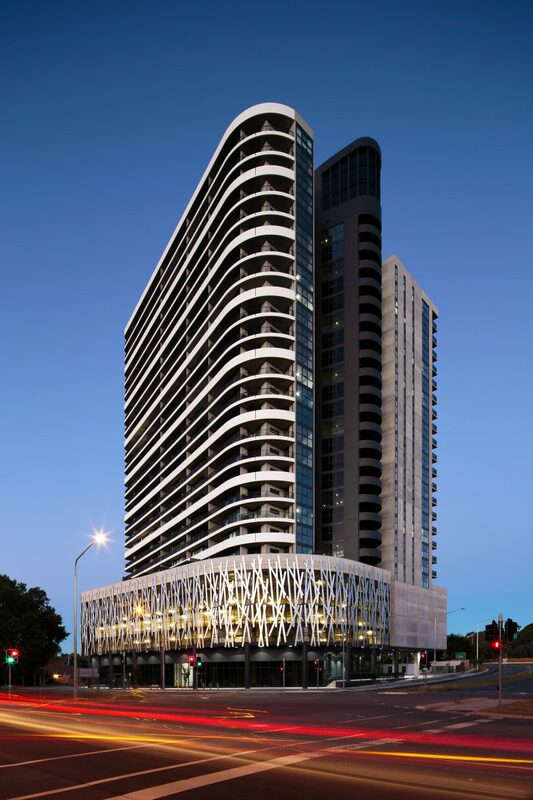 The Wayfarer apartment building is located on the corner of Eastern Valley Drive and Aikman Drive in Belconnen and opened in January this year. If you live in a Wayfarer apartment let us know what that is like. Have you experienced any noise problems? Oh dear, it looks like Wayfarer is another defective building like that awful house of cards building in New Acton. The desire for trendy architects to make a statement has taken precedence over basic functionality. Like the house of cards building, we all saw it going up. We read the glowing stories in the media about how artistically chic it was. We saw praise heaped on the architects, and were told that this is the new wave. Now that it is complete and people are living there we are now hearing about the myriad problems of living in an aesthetically pleasing showcase building. I know I run the risk of being called a Philistine here, but in the future could developers please keep uppermost in their mind the expectations of the people who will occupy their completed building rather than pandering to the airy fairy fantasies of trendy architects? I once had to live for a few months in the upper levels of a high rise apartment block in a large city. There were regular, random loud noises which we found were residents taking short cuts by exiting the building on the lower levels via the fire stairs and emergency exits at ground and car-parking levels. The one-way exit doors were very strong, heavy fire rated ones and when they closed they made a deep “boom” which echoed up the stair well to the top of the building. I suggest the investigators check it out. Also, where bathroom, laundry and kitchen steam/water vapour is taken outside by forced mechanical extraction there are louvres at the exit point preventing outside air from re-entering when the extraction fan is turned off. The louvres on these devices are generally cheap, light plastic and they have the habit of opening and closing at the whim of prevailing air currents which are more prevalent at higher levels. This produces a “bang-bang” effect which is heard all through the living areas where the fans are placed. There is no way to fix this problem other than running the fan all the time.